The Badger Dairy Club’s involvement in Expo has certainly evolved over the years. 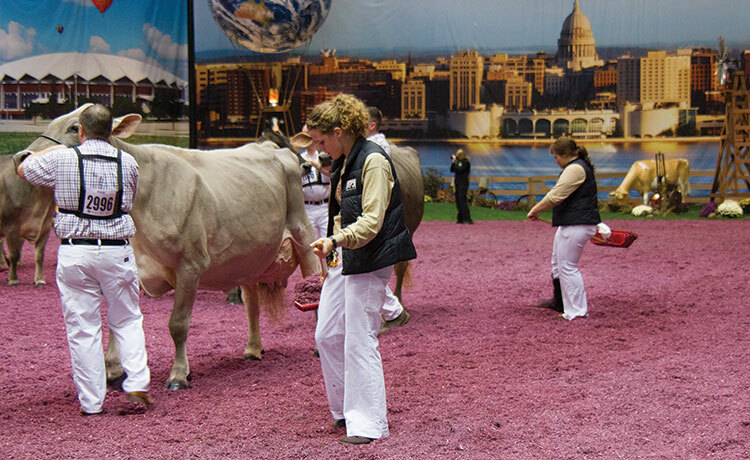 Today, you can find them working in the ring, in the cheese stand, and all across the grounds logging more than 5,000 hours throughout the week. 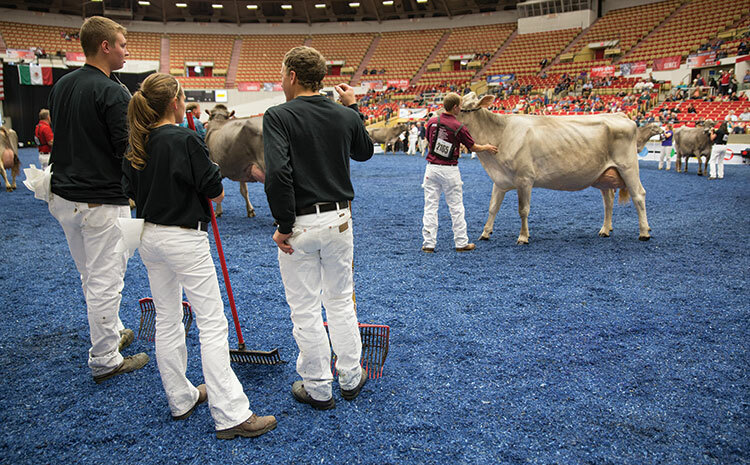 There are many individuals and organizations that have been instrumental in orchestrating successful World Dairy Expo shows throughout the past 50 years. One of the most notable is the Badger Dairy Club (BDC), whose members have worked behind the scenes of the incredible show since 1971. An initial agreement that began out of the show’s need for assistance and the desire to raise funds for a fledging club has grown exponentially into structured roles and unprecedented networking opportunities for BDC members. 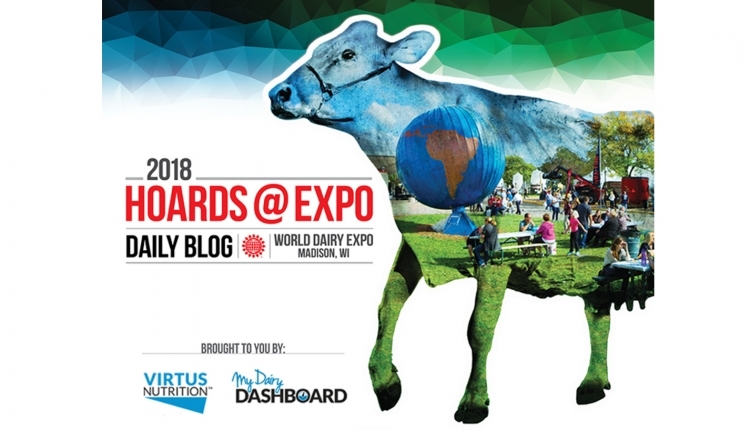 In this article, several founding members of BDC, a past BDC World Dairy Expo (WDE) chairman, and the current chairman share their experiences and memories. When the BDC planted its organizational roots in the spring of 1970, it was comprised of many talented young members with the drive to help the club succeed. One of those founding members was Dale Kranz of Columbus, Wis.
Little did they know at the time, the members offering those services opened many doors for the future of the club and its membership. Another of the founding members, David Selner, the current executive director of the National Dairy Shrine and a freelance geneticist, also remembers the role the fitting service played in providing start-up funds for the club. However, in 1971, Selner recalls a more momentous relationship formed. Dr. Dickson, Jim Crowley Sr., and Allen Hetts, father of BDC founding member Roy Hetts, were instrumental in initiating an agreement that would impact the club dramatically. Selner added that some of the first responsibilities for the 30-member BDC included nightline for exhibitors, running the milk house, setting up panels in the barns prior to the show, and grounds maintenance and cleanup. A few years later, showring assembly and assistance was added to that list. Louis Prange, international marketing manager with Sexing Technologies and another founding BDC member, also reflected on those first years. 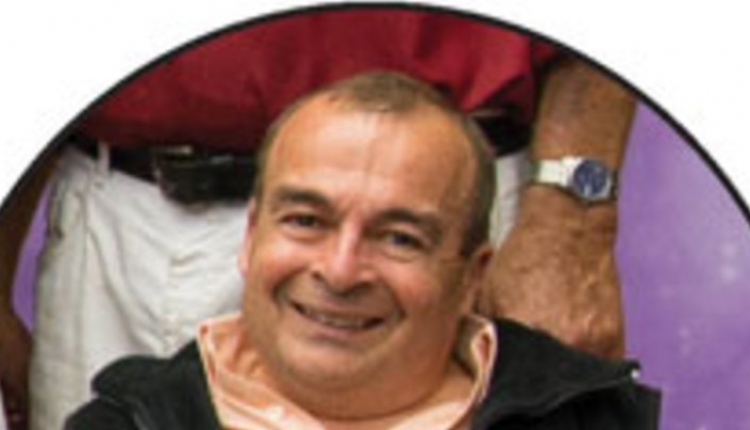 “Allen Hetts was working with Bev Craig on developing the show, and Roy made the connection to bring the club and World Dairy Expo together,” he said. One of Prange’s most vivid memories was unloading an airplane full of cattle that had come for the show. In fact, a picture of that particular event still hangs on his office wall today. He also remembered the club was hired by Paclamar Farms to unload their railroad car of supplies. For Prange, these experiences were some of the most beneficial for him as he graduated and moved on in his career, where he worked in international relations for the Holstein Friesian Association. While in that role, he got to fly the last load of the Paclamar herd to their new home in Italy. As the years went by, a partnership that started with just 20 to 30 members assisting with the show grew substantially to include 200 members in the early 1990s. More structured chairmanship roles were also devised, and the world renowned cheese stand, the club’s biggest fundraiser to date, was added to the list of responsibilities on the grounds. Kevin Jorgensen, of Waupun, Wis., served in various roles for BDC at Expo from 1987 to 1991, including acting as general chair for two years and serving as the chairman of business, grounds, nightline, milk house, and cheese stand. He said the amount of time attributed by the club grew to accommodate the growth of the show. “During the years that I was part of BDC, our assistance spanned three weeks — we started the week before Expo putting up snow fence around the grounds, moving many of the show materials from the Expo offices to the grounds, and going out to Tate’s Trees to get the dozens of evergreens that were used to surround the showring,” Jorgensen said. He added that many individuals were involved at that time as it took a great number of people to work nightline and man the seven or eight different barns that housed cattle. 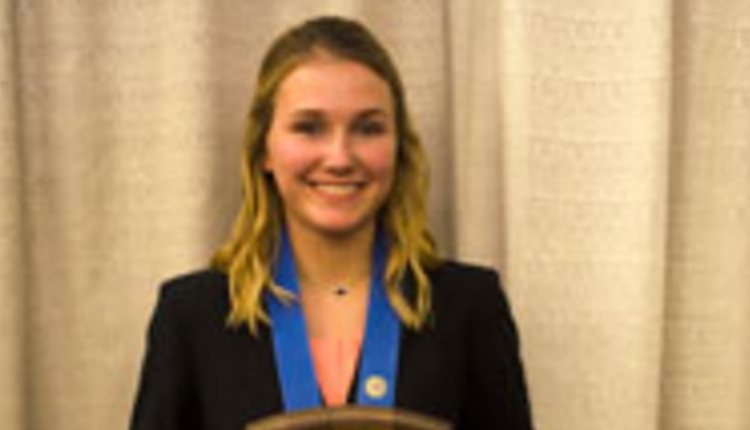 A single hour of work at World Dairy Expo paid the member’s club dues for the year. Expo, he changed to dairy science. His roles with BDC have also evolved through his four years, from worker to grounds chair his sophomore year, to co-chair his junior year, and this coming year, general chair. His hours of involvement have also increased from 100 hours to 220 hours, which he says is the average number a chair puts in during the three-week period. Current BDC responsibilities include: warehouse, packaging, setting up schedules, showring assembly, and tent setup as needed prior to the week; grounds work, showring, warehouse work, milk house, cheese stand, and sale setup and take down during the week; and various cleanup following the show. While missing classes and making up work missed during that time presents its challenges, Holdorf said the benefits far outweigh those challenges. “We provide WDE a good set of workers, and being involved gives BDC a stake in the show, making our members feel like they are a part of it,” he said. 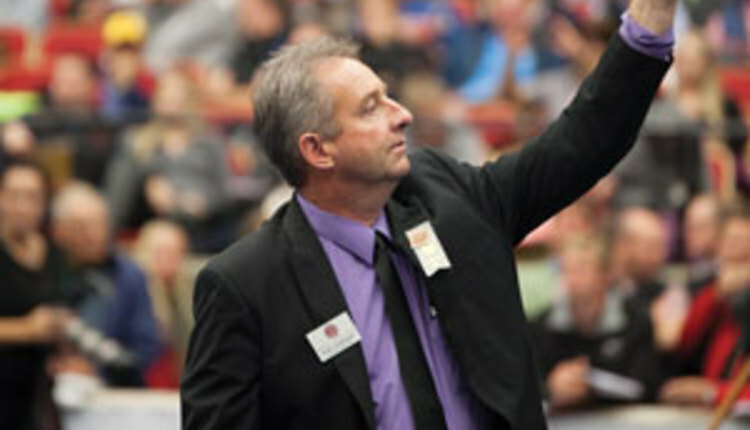 Jorgensen agrees with Holdorf and adds that serving in those numerous roles as a BDC World Dairy Expo chairman benefitted him while attending UW-Madison, but also greatly assisted him in his position as a Holstein sire analyst for Select Sires, other work in the dairy industry, and as a registered Holstein breeder. When Selner reflected on the beginning of this agreement and how it has evolved, he described the transformation of a group that included 50 or so members working on four or five areas of the show to BDC members touching almost all aspects of the show. More importantly, the agreement that was developed early on to provide start-up money to BDC and workforce to WDE has offered members access to some of the best people, cattle, and shows in the world, while fostering the development of real-world skills.